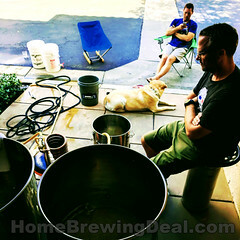 Coupon Description: Right now MoreBeer has a promo code for a Home Brewing Wort Oxygenation Kit for $45. 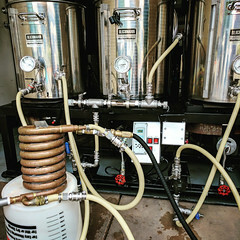 Oxygenation systems are valuable to home brewers because during the beginning of fermentation, yeast cells are replicating like crazy and in order to do so they need to have oxygen available in the wort. during the boil process almost all of the oxygen is removed from the wort so it is important for a home brewer to recharge the wort with oxygen after it has been cooled to < 85 F. The best way to oxygenate your wort is with one of these oxygenation kits which defuses pure oxygen in to the wort! This Oxygenation System pumps pure oxygen into your cooled wort using a disposable oxygen tank and stainless steel diffusion stone. With this homebrewing wort oxygenation system, the entire process takes a only 1-2 minutes to achieve adequate oxygen levels. 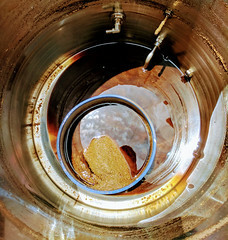 This method has the lowest potential for wort contamination as well. This home brewing wort oxygenation system comes with a regulator for disposable oxygen tank, sterile inline filter, our threaded .5 micron stainless steel oxygenation stone and tubing. 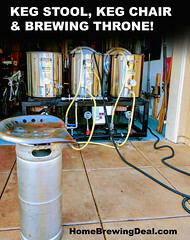 This is a great home brewing gift idea for the home brewer who has everything!